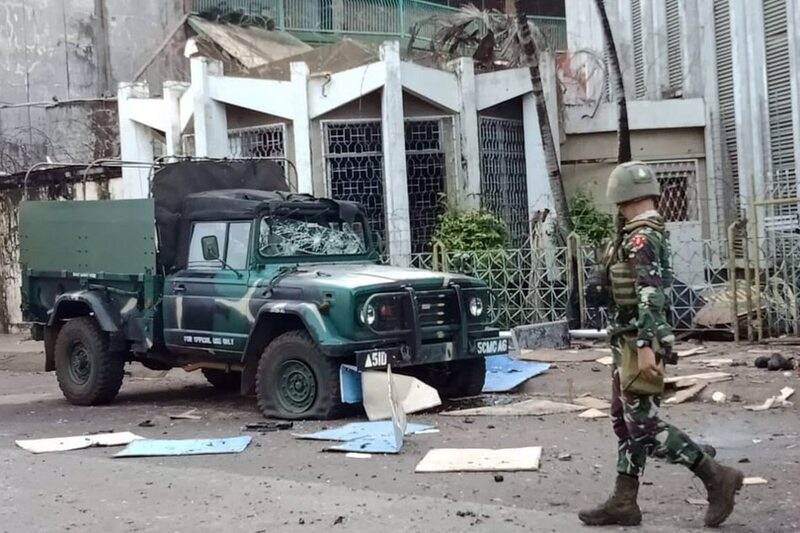 MANILA -- (UPDATED) The military on Sunday said it believes that Abu Sayyaf bandits could be behind the fatal explosions at a Catholic Church in Barangay Walled City, Jolo town in Sulu. Col. Gerry Besana, spokesperson of the military's Western Mindanao Command, said initial probe of the twin blasts points to the Abu Sayyaf's "Ajang-Ajang" group. Authorities were able to point to the group through the CCTV footage they have recovered. Some 20 people, including civilians and soldiers, died in the blasts as of 2 p.m., Chief Superintendent Graciano Mijares of the Autonomous Region in Muslim Mindanao police said. Around 80 more people, including civilians, soldiers, and policemen were also reportedly injured because of the explosions, the police official added. 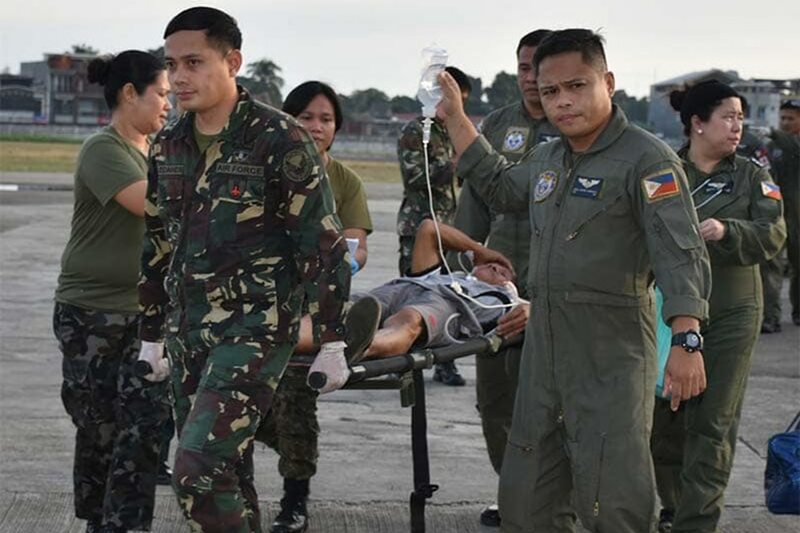 The casualties from the Jolo blast were transported to Zamboanga City through an air ambulance. The province of Sulu, is a known bastion of the Abu Sayyaf, an Al-Qaeda linked responsible for kidnapping and bombing activities in the restive south. Brig. Gen. Divino Rey Pabayo, commander of Joint Task Force Sulu, said they had received earlier reports of the Abu Sayyaf's plan to bomb in a crowded area. "There's been long time that we are receiving information that ASG with a foreign terrorist in the area are planning to do bombing in an urban or populated area," he told ANC in an interview Sunday. The fatal explosions happened less than a week after Filipino Muslims in the south called Bangsamoro voted to create a new region for them with greater autonomy. While the proposed creation of the Bangsamoro autonomous region gained overwhelming support in a large portion of Muslim Mindanao, the province of Sulu voted against it.